Summer is here! Come try sizzling hot levels and get gorgeously tanned with Olaf! Get ready for an epic puzzle matching adventure in the Kingdom of Arendelle, inspired by the newest Disney animated film, Frozen! 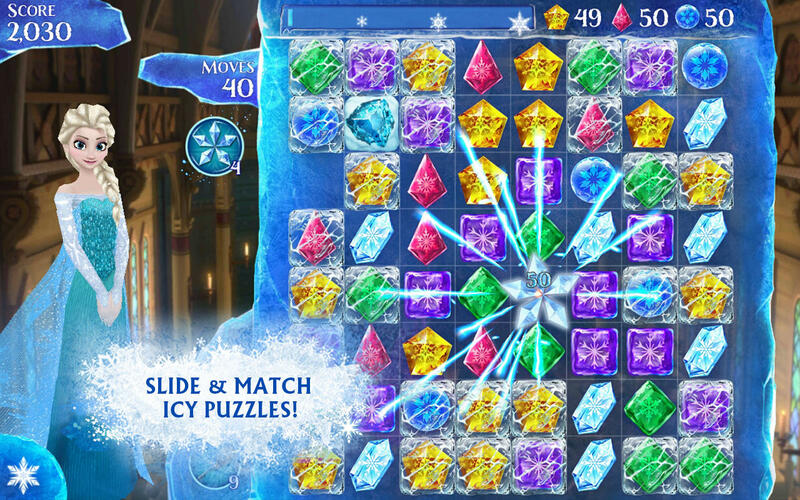 Join Anna, Elsa, and more of your favorite characters on a journey to slide and match hundreds of icy puzzles for FREE! UNLOCK MORE CHARACTERS AS YOU GO – Start the journey as young Elsa and Anna, then unlock grown-up versions of the sisters as you progress through the land. 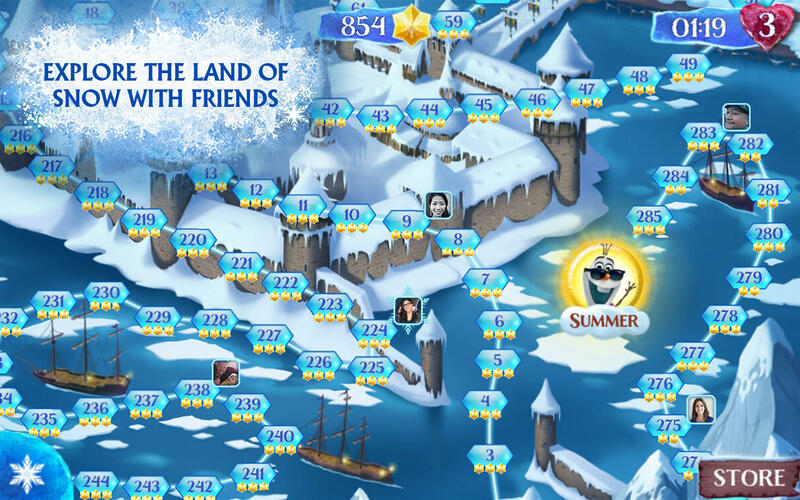 Follow the story and play with even more characters like Olaf, Sven, Kristoff, Hans and Pabbie! Visit Facebook.com/DisneyMobile for cool game tips, news and more! Don’t forget to check your local retailer for Frozen on Blu-ray and Digital HD! 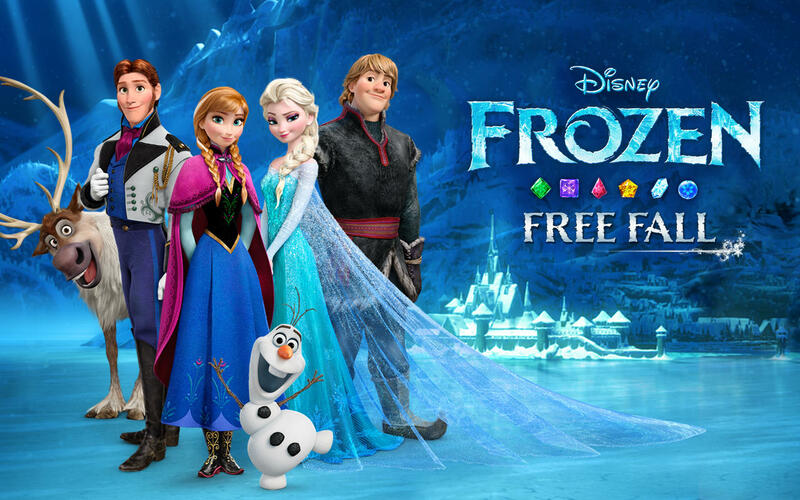 Frozen Free Fall is free to play but some in-game items may require payment.